On May 29, 2015, the Horror film community and the world at large lost a true Renaissance woman. 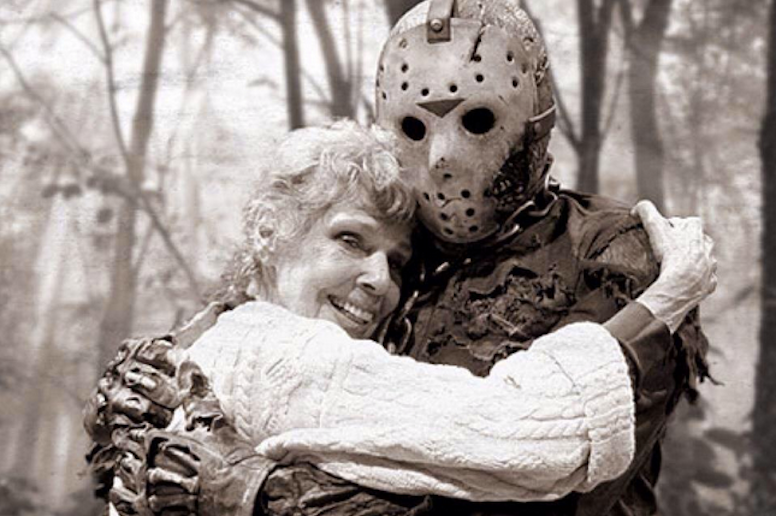 Most of the world remembers the legendary Betsy Palmer as Jason Voorhee’s psychotically vengeful mother in the 1980 cult classic Friday the 13th; however, the stunningly beautiful, blond-haired, blue-eyed actress’s passing at the age of eighty-eight impacts a greater spectrum of the entertainment world where she had been a triple-threat: covering TV, film, and theatre in a spectacular career that spanned sixty-four years. Patricia Betsy Hrunek was born in East Chicago, Indiana on All Hallows in 1926 to Chicago Business College founder, Marie and industrial chemist, Rudolph Vincent Hrunek, an immigrant from Czechoslovakia. Originally, Palmer worked as a stenographer and secretary for the B&O Railroad for the car foreman on the RIP track. She hated it, she said, because she was shut off from people. She studied theater after taking an aptitude test where she excelled in The Arts, and meeting a professor, Dr. Itkin, that her dad brought home. She put herself through night school, and graduated from Saint Paul University with a major in theatre in 1949. She then married Dr. Vincent J. Merendino on May 8, 1954, with whom she had a daughter, Melissa Merendino, in 1962, but the couple divorced in 1971. Palmer says she realized he was a negative person, which she abhorred. Her stellar career in acting began less than one week after arriving in New York with a part in the fifteen minute long, daily soap opera, Miss Susan (1951) after she was discovered at a party in the apartment of actor Frank Sutton (Gomer Pyle, U.S.M.C. TV series). She had considered this a wonderful time because the medium of television was brand new, liking it to theatre in front of a camera instead of on a stage. 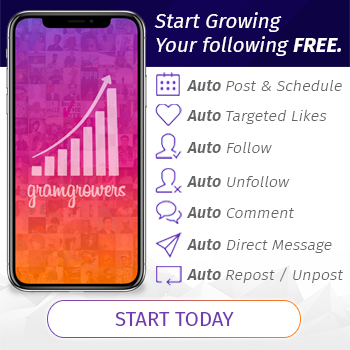 She said this made it easier for her to reach more people. Later in life, she would return to soap operas, creating the sweet character Suz Becker in As the World Turns in 1982, and Virginia Bullock in Knots Landing from 1989-1990. Other television roles include a news reporter on Today in 1952 and a fixture as a panelist on the quiz show, I’ve Got a Secret, which she said was funny because she personally did not like playing games, yet stuck around for nine years until the show ended in 1967. The exposure from such a long run on the show got her noticed for more Broadway and other theatric roles. Her theater work included playing Nellie Forbush in South Pacific in the ’50s and ’60s and the title role of Maggie in the 1953 musical, What Every Woman Knows. Other stage productions include the Broadway shows Roar Like A Dove, Cactus Flower, and The Eccentricities of a Nightingale, a role she had always considered her favorite, although citing Joan of Arc as a role she had always wanted to play but had never gotten the chance. 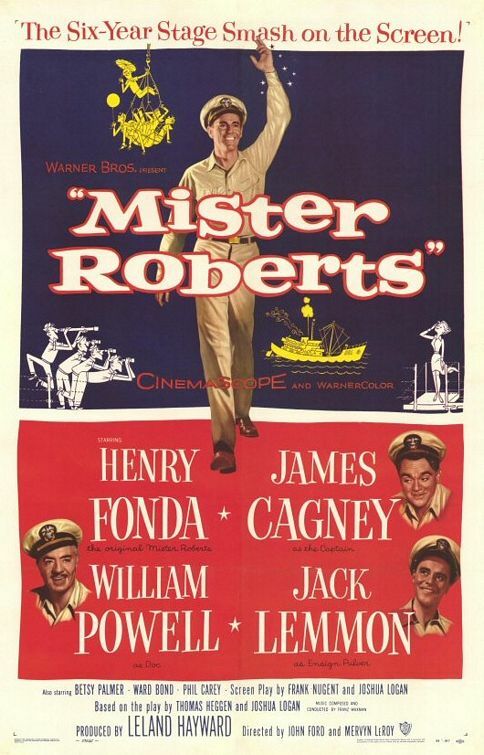 Before becoming the infamous Mama Voorhees, Palmer appeared as Kitty Carter in The Long Gray Line (1955) and joined Henry Fonda in the all-star cast of the classic film Mister Roberts (1955). 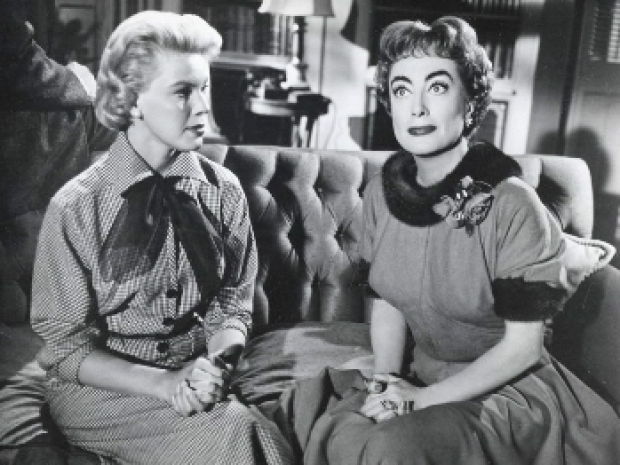 She also played Carol Lee Phillips in the film Queen Bee (1956) with Joan Crawford. 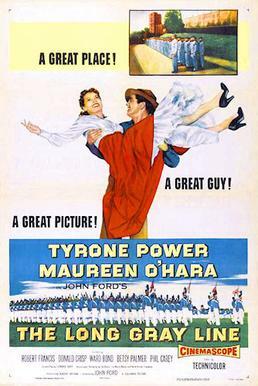 Palmer would reunite with Fonda in the Paramount production of The Tin Star (1957) that also starred Anthony Perkins. Other stints she took part in were 1958’s The True Story of Lynn Stuart, It Happened to Jane (1959), and Our American Heritage series (1959). 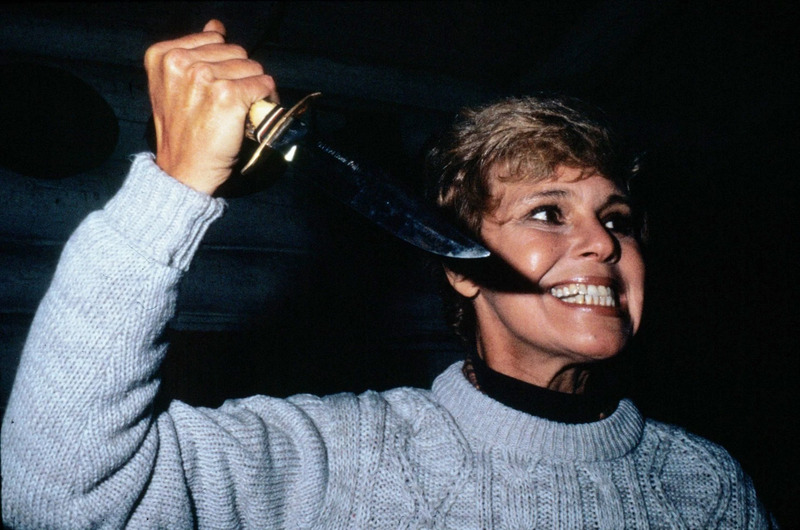 After her Mercedes broke down, Palmer needed cash and reluctantly took the titular role of Pamela Voorhees, the vengeful mother of her camp-attending little boy, Jason. Originally she thought the script was crap, not realizing that this role would revitalize her career in an epic way, bringing her fame to a new generation. Her turn from sweet, do-gooder characters to the superbly acted. all-consuming, vengeful Mrs. Voorhees opened up a new door for Palmer, finding her fans who never knew the depth of her phenomenal career. He maniacal grin also helped propel Friday the 13th into the Slasher stratosphere, garnering the franchise nine sequels, a match up of two of the most popular Horror icons in history in 2003’s Freddy vs. Jason, a remake, and more to come. She did a cameo appearance in the sequel, Friday the 13th Part II (1981), but would turn down the role for 2003’s Freddy vs. Jason. These roles led to her becoming a regular in the Horror convention circuit, drawing in high numbers to meet the dangerously loving Mrs. Voorhees, which she has said she enjoyed because she liked fans and people in general. Modest in her work, Palmer did not like seeing herself on screen, so she only saw Friday the 13th three time. In retrospect, she thought the movie’s popularity was because the viewer had to use their imagination since everything was not spelled out for them. Plus, she thought viewers could sympathize with her actions. After Friday the 13th, Palmer went on to do projects like The Love Boat series (1982), Still Not Quite Human (1992), and Penny Dreadful, a 2005 short, with her last major role in 2007 with Bell Witch: The Movie. Although she had been in many TV shows and movies, Palmer confessed that she hardly turned the tube on, saying she was more of a radio freak or book reader. 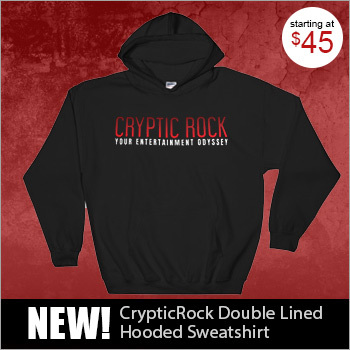 Through the years she has been a regular guest at many Horror Conventions across the USA, and fans will always remember her for her warm personality and energetic attitude, always standing, ready to reach out to hug supporters. She loved all her life truthfully, that it was a joy, and, that she was very grateful that she was chosen to be whoever Betsy Palmer was. Isn’t that Joan Crawford, in “Queen Bee”? 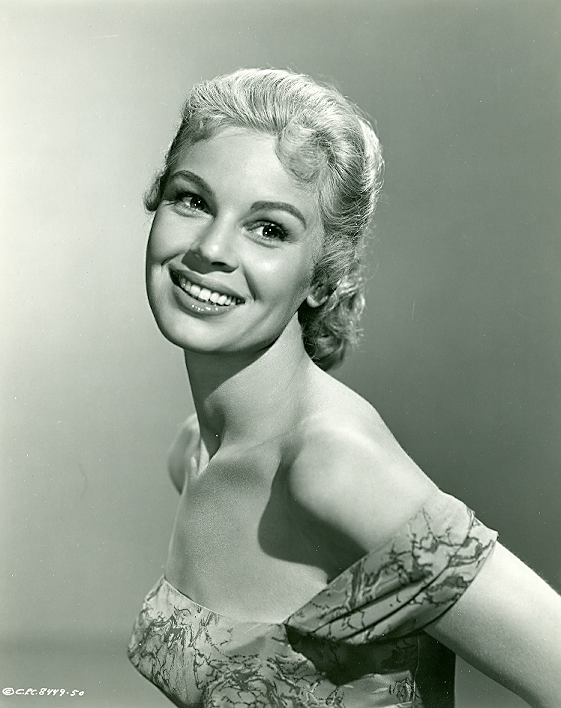 Did BETSY Palmer act in a community theater production of Sabrina Fair near Chicago around 1955?